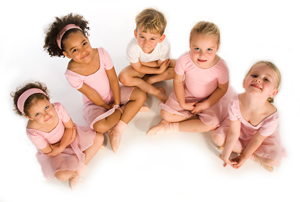 Monnow Ballet School is a small school specialising in quality ballet tuition for boys and girls of all ages, and is proud of its reputation in the Monmouthshire area. It was founded by its principal, Miss Nina Salmon in 2009. The syllabus at the school is dictated by The Royal Academy of Dance and the school runs to the highest professional standards. Against this backdrop, classes are open to children of 3+ years upwards and all abilities. For some pupils, ambitious to develop their love of ballet, Monnow Ballet will create pathways into related fields (dance administration, choreography, teaching for example) or onto further training at Royal Ballet Associate classes in Bristol. Pupils do not need to have danced before or have any ambitions to pursue a career in ballet, or even to take the RAD examinations. Simply learning to dance with others (and enjoying the many benefits it brings) is the only goal for many children, and their parents. Whatever a child’s motivation for joining a class, he or she will be welcomed to dance with same-aged friends and peers and to experience ballet in the most positive of environments. along the wall of a studio.